• Color information channels are created automatically when you open a new image. The image's color mode determines the number of color channels created. For example, an RGB image has four default channels: one for each of the red, green, and blue colors plus a composite channel used for editing the image. • You can create alpha channels to store selections as 8-bit grayscale images. You use alpha channels to create and store masks, which let you manipulate, isolate, and protect specific parts of an image. In addition to supporting alpha channels from Photoshop, you can save, load, and delete selections as alpha channels in ImageReady 7.0. 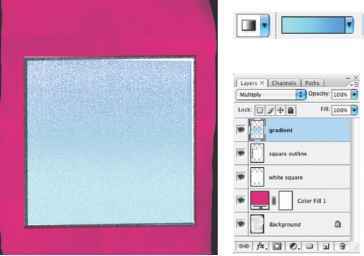 • You can create spot color channels to specify additional plates for printing with spot color inks. An image can have up to 24 channels. The file size required for a channel depends on the pixel information in the channel. Certain file formats, including TIFF and Photoshop formats, compress channel information and can save space. The uncompressed size of a file, including alpha channels and layers, appears as the rightmost value in the status bar at the bottom of the window when Document Sizes is chosen from the pop-up menu.